Save 50% on up to 6 sessions and 30% discount on 8 sessions. Turn back the clock, with treatments that redress the difference between how you feel, and how you may appear – achieve a fuller, fresher complexion, plump lips, a contoured jawline, and more. Harnessing industry-renowned Harmony laser technology, we correct imperfections, reduce redness and balance pigmentation. This is truly intelligent skin care. Imagine yourself, beautifully airbrushed, every day. Imagine completely smooth skin. Image wrinkles removed and your worry brow, eradicated. With our anti-wrinkle treatments, you can stop imagining. Allow us to overcome your crow’s feet, laughter lines and furrowed brow. Frame your eyes with lashes designed to suit your face and eye shape. Go for full, dramatic extensions, or choose an understated look – for sweeping lashes and gently enhanced eyes. Beautiful, youthful skin is possible, even if you’ve suffered with a skin condition you previously thought insurmountable. Transform, revive and rejuvenate, your skin with a professional skin peel. Our bespoke treatment room envelops you in calmness and serenity – ready for your treatment. Prepare for truly life-changing results, with procedures delivered by industry-leading experts, using state-of-the-art equipment. If you’re ready for a whole new you, explore our solutions for natural beauty enhancement – for consistently beautiful results. There’s always something standing in the way. Today, you should shrug off the guilt, and invest in yourself. Why wait for that boost in confidence, that beauty procedure that puts a spring into your step? With our interest free credit, you can discover the brand new you, today. Our interest-free finance allows you to spread the cost of your procedure. We’ll discuss and agree a time period that suits you and that fits in with your budget. Finance is available on all procedures over £500, with a loan amount of up to £30,000 available subject to a credit application. When the finance of your procedure is repaid within a 12 month period, you’ll pay no interest at all. However time periods of between 12 and 60 months are available, with a typical APR of 9.9%. To find out more about our interest-free credit call us today on 01344 482 882 or click here. View our treatment costs then use our calculator to work out a payment plan. 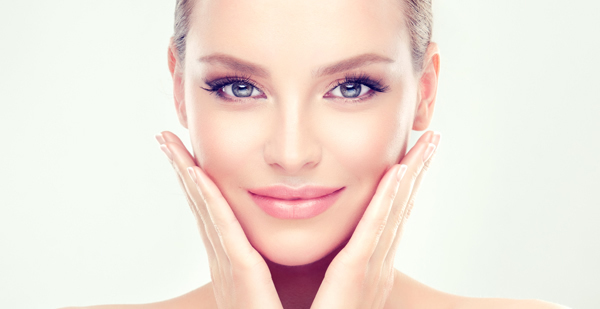 Minimally invasive skin tightening & cleansing treatments for all skin types.